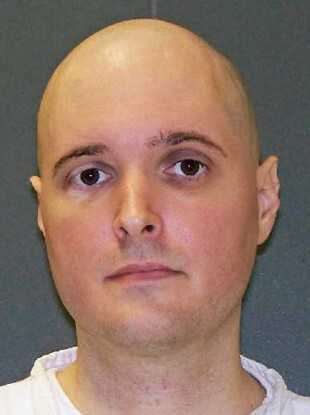 TEXAS GOVERNOR GREG Abbott last night issued a last-minute reprieve for a death row prisoner who hired a gunman to kill his family after his father, whom he sought to murder, pleaded for his son’s life. Thomas Bartlett “Bart” Whitaker, 38, had been one of three men awaiting execution Thursday in three different US states. Another, Eric Branch, was executed as scheduled in Florida for the 1993 murder of a student. The Texas Department of Criminal Justice later issued a statement quoting Whitaker’s reaction to the news. “I’m thankful for this decision, not for me but for my Dad,” he said. “Whatever punishment I might have received or will receive will be just. Kent Whitaker had moved heaven and earth for years to try to get mercy for his son, whom he forgave from his hospital bed. Bart Whitaker was sentenced to death for hiring the hitman who killed his mother and brother and wounded his father in 2003. The gunman also shot him in the arm to provide a cover story for the family slaying. Police had originally assumed the shooting was a botched robbery, although the fact that only Bart’s cell phone had been taken raised suspicions. Bart returned to live with his wounded father for seven months before it emerged that it was the son who hired the gunman. Kent, a devout Christian, said he had initially been “mad at God” after being shot in the thorax by the masked assailant who took the lives of his wife Tricia, 51, and his 19-year-old son Kevin. “I live with the extent of the loss every day and am aware of how much it has cost me — and am completely aware that all of that loss was the result of decisions made by my son,” he said. Email “Death row prisoner who hired hitman to kill his family given last-minute reprieve”. Feedback on “Death row prisoner who hired hitman to kill his family given last-minute reprieve”.